As much as I dread the transition to the sweltering humid heat from the crisp cool winter temps, I do love changing my skin tone from a pale white to a golden brown - without the sun. Yes you heard correctly. Not all tans come from the suns rays. Enter fake tan. Finding the right tan to suit your skin type and tone is imperative. Some tans turn me orange whilst others don't work at all. But finally I've found my top 3 favourites that work with my skin type. Here are my top 3 tans that I recommended you should have in your beauty cupboard or drawer right now! With green undertones, this tan doesn't turn you orange at all but instead leaves you olive and bronzed. 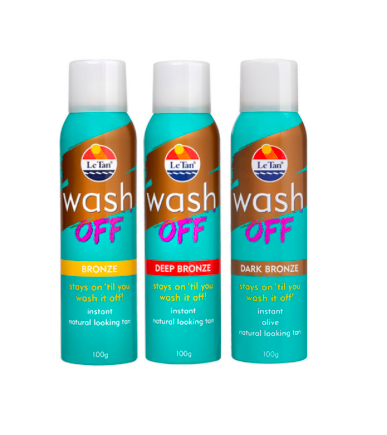 The foam texture allows easy application and allows you to also see any spots you've missed and the coconut scent prevents that classic "fake tan" smell. This one is best applied with the Bondi Sands tanning mitt to prevent any streaking or staining of your hands. This tan is a god send. It's a spray and instantly develops kinda like make up for your body. It can be applied with your hands as it washes off easily without staining. Talking about staining, it can also be removed with soap and warm water so you don't need to exfoliate until you bleed. 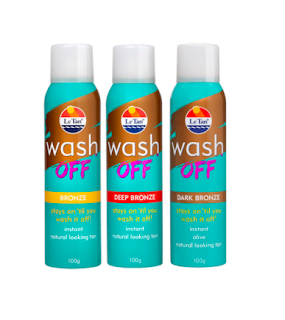 Wash Off Spray is perfect for last minute plans where a tan is definitely required! Looking for a natural extremely dark tan that would make any person returning from a holiday in the Bahamas envious? Well look no further. This mousse is perfection. The name Ultra Dark says it all - it's a fake tanner junkies heaven. The colour guide technology allows for easy application. It's also cruelty free and paraben free - a massive added bonus! 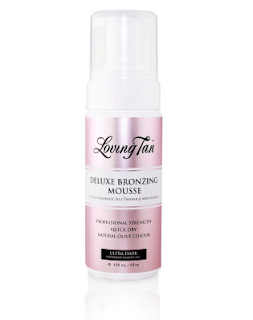 Apply with a Loving Tan applicator mitt for best results. And there you have it. My current top 3 tan faves!